Software vendors have the option of defining whether a license can be used on a network license server. As a regular component of CodeMeter Runtime, this network license server is designed to be easy to use. You can choose whether your users can run a second network license server in cold or hot standby mode with additional licenses for use in emergencies. The CodeMeter network license server may be located in the LAN, in the WAN, or operated in the cloud. Usually, the license server is run directly by your users, but it is possible for software publishers to operate it themselves. Alongside the choice of a network license server, the new option of a TMR (Triple Mode Redundancy) server offers a version tailored perfectly to the needs of high availability scenarios. 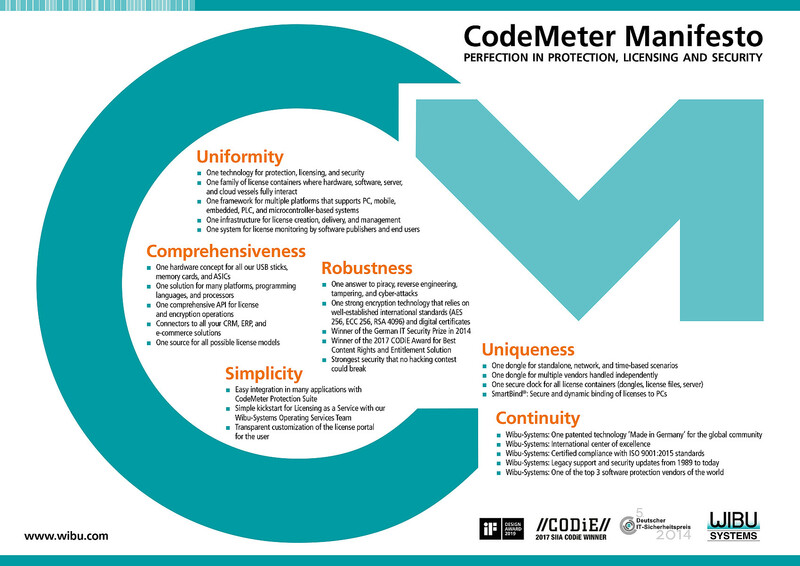 The CodeMeter Network License Server supports the setup and management of users’ access rights. The IT administrator at the customer’s premises can assign one or more licenses to employees, Active Directory groups, or computers. The assignment to computers can be based on specified computer names, IP addresses, or IP address ranges. Licenses can also be reserved exclusively to certain employees, computers, or teams. By setting up a threshold, it is possible to determine how many licenses can be used by an employee, a computer, or a group. 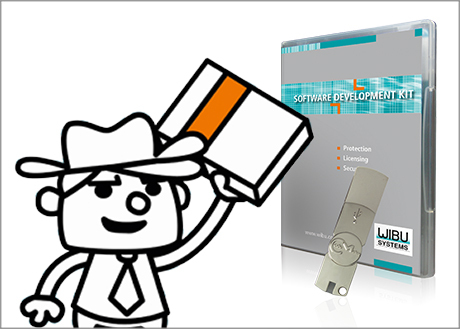 Wibu-Systems logs the use of licenses in the CodeMeter Network License Server. The log produced is available for the customer to analyze the use of licenses. Both permanently unused licenses and license bottlenecks can thus be identified. The analysis can serve as a basis for license upgrades and renewals of maintenance contracts or for the allocation of licenses to cost centers. Software publishers can specify whether and how licenses can be borrowed. By offering this option to your users, you can define a time limit for the borrowing of the license from the network license server to a local PC or a CmDongle. During the borrowing period, the license is flagged as “in use” on the network license server. Once the borrowing period expires, the license is made available again on the network license server, while it expires on the local PC or CmDongle. The user can return the license before the expiration date or renew the borrowing period. To carry out the borrowing process, no Internet connection to the vendor is required. If the user belongs to the customer’s network, the borrowing is done directly. If the user is no longer connected to the network and has no way of reaching the network via VPN, then the borrowing can take place by file sharing. The IT administrator can, for instance, send the license via e-mail.